Jonathan Requena, left, played for Temuco in their win over San Lorenzo despite questions over his eligibility. 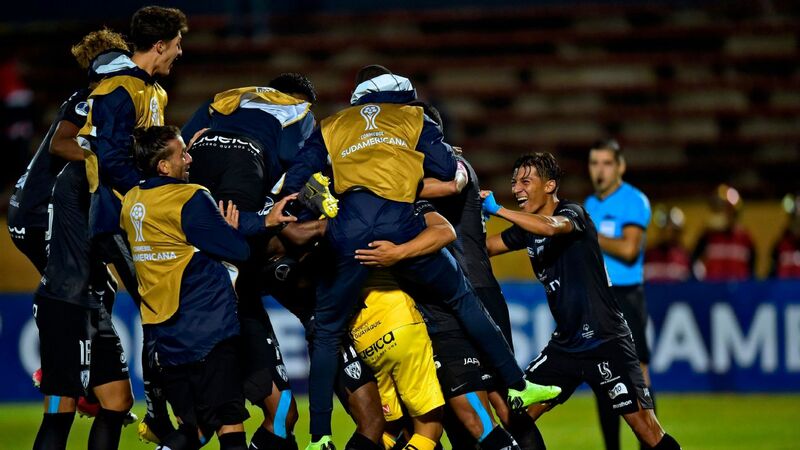 The Copa Libertadores, South America's Champions League, probably blundered last year when it gave out more places to clubs from Brazil and Argentina. There is a real possibility that the two traditional nations will provide all eight of this year's quarterfinalists, which is hardly good news for the development of the game across the continent. Thankfully there is more diversity to be found in the Copa Sudamericana, CONMEBOL's Europa League equivalent. The final places in the last 16 are being filled this week. Ten teams have already booked their passage, and only two each are from Argentina and Brazil (respectively, Banfield and Defensa y Justicia, Bahia and Atletico Paranaense). Colombia has already qualified three representatives (Deportivo Cali, Junior and Santa Fe), Ecuador has two (LDU and Cuenca) and Venezuela has one, Caracas. Five countries, then, are already guaranteed an interest in the next round of the competition. All the teams from Bolivia and Peru have already bitten the dust. But there is the certainty of a sixth country's involvement on Tuesday, whatever the outcome of the night's action. Nacional of Uruguay and Paraguay's Sol de America meet for the second leg after a 0-0 draw in the opening game. Paraguay will have two more chances at getting a side through to the last 16; General Diaz take a 1-1 draw to Colombia for their second leg against Millonarios (the Colombians will be favourites, and can then boast of supplying four of the last 16.) And Nacional of Asuncion travel to Rio de Janeiro to defend a 2-1 lead against Botafogo of Brazil. There is a second chance for Uruguay to qualify a side for the last 16, and it too comes against Brazilians from Rio. 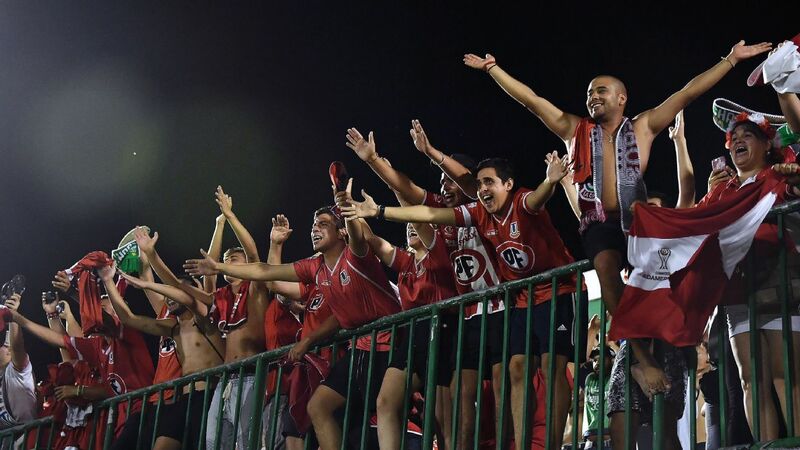 Defensor, though, face a stiff task overturning a 2-0 first leg defeat to Fluminense. On the face of it, there should be a good chance of Chile maintaining an interest in the last 16. In the shock result from the first leg ties, Deportes Temuco came away from Buenos Aires with a 2-1 win against Argentina's San Lorenzo. All they would have to do, then, is hold out for a draw in Wednesday's second leg in front of their own fans. But it appears that the Chilean club, whose president is the former international striker Marcelo Salas, made an administrative error. They fielded their new acquisition, Argentine midfielder Jonathan Requena, who came off the bench against San Lorenzo to help set up one of the goals. But it seems that Requena had already been registered to play in the competition by his previous club, Defensa y Justicia, thus making him ineligible to appear for Temuco. San Lorenzo appealed, and their protest was upheld last week by CONMEBOL, who awarded the game to the Argentines by a 3-0 margin. Salas has been attempting to force a rethink, but unless he is successful his team will have to come up with a special performance to force their way past San Lorenzo and ensure that at least seven countries are represented in the last 16 of the Copa Sudamericana.